A major expansion of newly built shared ownership could help low and modest income working families across the country onto the property ladder, while keeping their housing costs affordable. One foot on the ladder shows that shared ownership – where buyers purchase at least 25 per cent of the equity in a home and pay a low rent on the remaining share owned by a Housing Association – is affordable for a couple with one child on £22,000 in 87 percent of local authorities in Britain, assuming they spend no more than 35 per cent of their net income on housing costs. In Aberdeen, they would have to spend 50 per cent of net income (£918 per month) on meeting the monthly costs of a 95 per cent mortgage compared to 25 per cent of net income (£455 per month) for shared ownership. Shared ownership is more affordable for low income families because they initially take out a mortgage on only a share of a home not the entire property and pay an annual rent of no more than 3 per cent on the remaining share, with annual rent rises in line with RPI plus 0.5 per cent. While they own less equity, their payments are more predictable and they are less at risk from changes in the mortgage market. 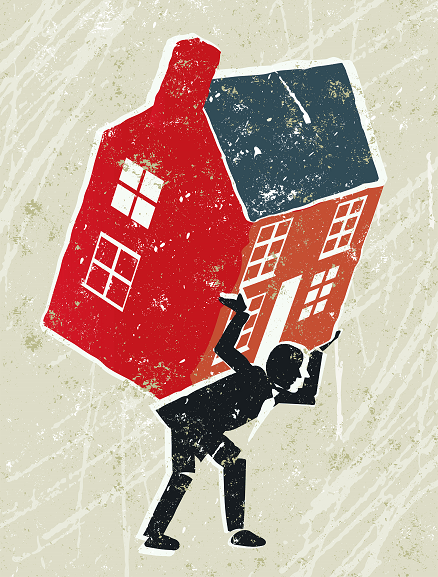 Shared owners can claim Housing Benefit on the rent but this is rare. The study says that with growing numbers of families stuck in the private rental sector, shared ownership needs to become the mainstream fourth tenure to help meet their aspiration to own, generate much needed new housing supply and help address Britain’s growing wealth gap, while also reducing volatility in the housing market. The report calls on government to make this a reality by creating a new shared ownership equity fund to encourage an increase in the number of homes built for shared ownership,building on the current Build to Rent fund that was announced in last year’s Autumn Statement to kick start purpose-built private rented accommodation. The report also proposes that many of the regulations and restrictions that currently limit the flexibility of shared ownership should be stripped away. For example restrictions on marketing properties through estate agents, sub-letting properties and more onerous valuations than for conventional house sales, should be scrapped and replaced by a simple, transparent set of standards that are easy for buyers to understand.